Back in the U.S.A.: Check Out Those Wings! Ken needed a ride today to his last COAD Board meeting. He submitted his letter of resignation and thanked the Board and staff for a wonderful 12 years. He served that board so well. 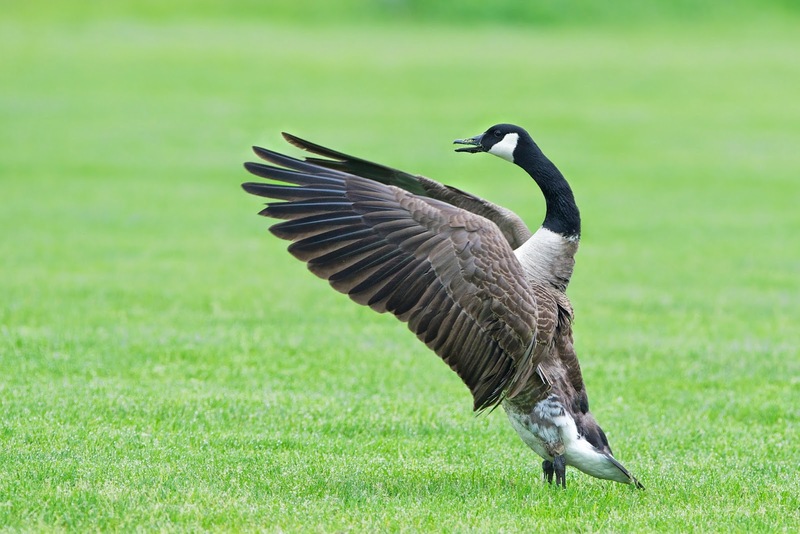 In the mean time, I found this old Canada Goose in the field across the parking lot and took his picture.